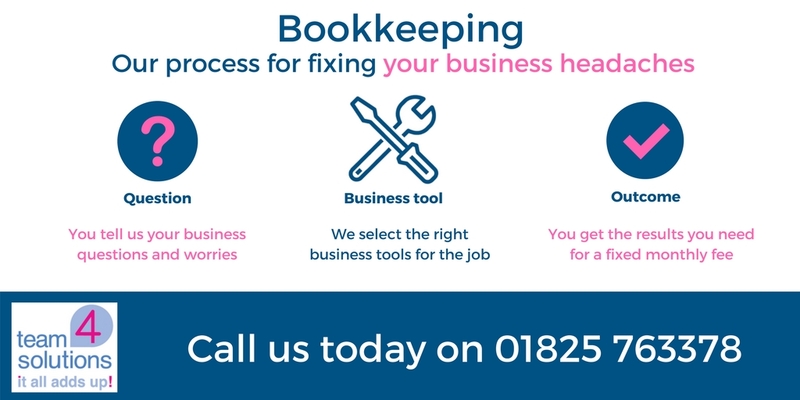 Yep, we know that every penny you spend on bookkeeping and accounting is money coming out of your business, so we need to demonstrate to you why it’s worth buying our services. We also know that sound financial data and good financial advice are critical for any business. Whatever kind of business you run, you’ll have questions. About your income, about seasonal variations in sales, about your tax, about business growth, about paying staff, about how to save money and more. You may not even know what your questions are yet, but there are always improvements to be made. A good bookkeeper can find out just by chatting things over with you, so this is the first thing we do. We live and breathe financial reporting and making sense of financial data. We can help avoid financial pitfalls, avoid you wasting time looking at unhelpful figures, help you plan ahead and set up systems to get the most out of all the hard work you’re putting in. Be wary of spending hours of your time trying to understand the raw figures on your own. Getting specialist advice will save your time for the areas of the business where you make the biggest impact on the bottom line. For example more of your time spent with prospective customers closing sales, employees paid correctly and kept happy, better credit control and steady cashflow, knowing when to invest in new equipment or staff, reducing costs and unnecessary expense or creating new growth areas for your business. We’re always happy to explain the specifics of anything we can see your business needs. If something on the finances is niggling you just give us a call and we can talk it through over the phone or better still, over a coffee. We are certified Sage, Xero and QuickBooks advisors so you can have full confidence moving your accounts to the cloud. Get in touch with us to arrange to meet over a coffee or have a call to learn how going digital can save you time and money. With accurate records to hand, your accountant can give you the best advice possible. "I have used Team 4 Solutions for several years now, to help me do my Sage PAYE end of year and my Financial Year End, I always find Claire helpful and knowledgeable, she is always at the end of the phone and able to help with any of my queries, regardless of how small! I would not hesitate to recommend Team 4 Solutions to other people." “Offering a professional service is all about having pride in your work.” says Patrick O’Donoghue. Read on for our case study on working with Hunters Recruitment, a recruitment agency based in Shoreham.